Shop easily and safely. Shipping to anywhere in the world. 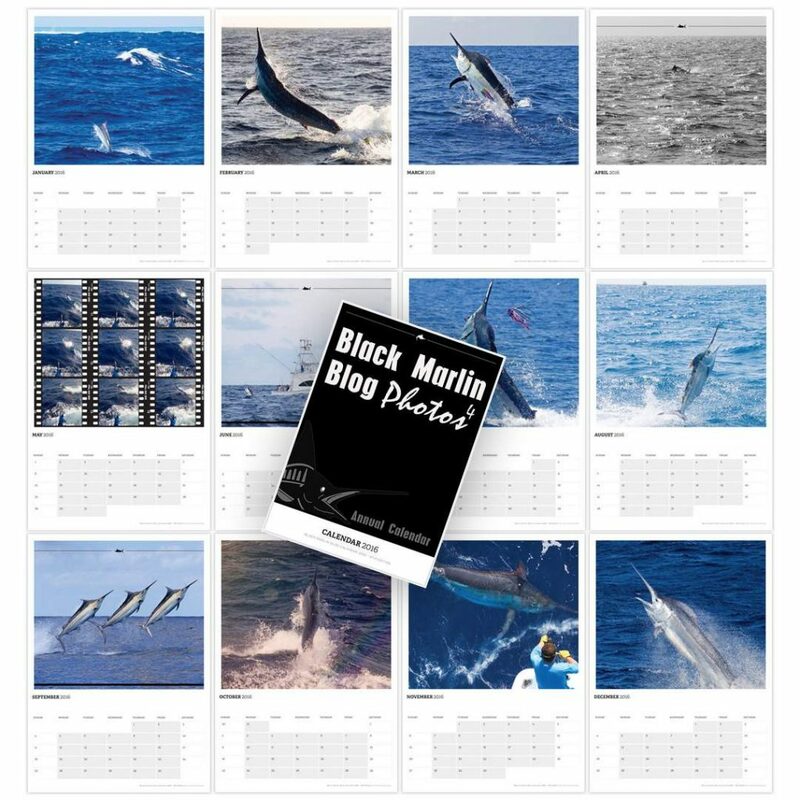 The 2016 Black Marlin Blog calendar is now available. If you’ve missed the start of the year, don’t worry, the calendar is printed on demand and available to start at any month of your choosing. Select your start month in the checkout! Each month features an images from the pages of the Black Marlin Blog. Orders from the USA and the rest of the world will be printed and shipped from the USA. Orders from Australia will be printed and shipped from here. 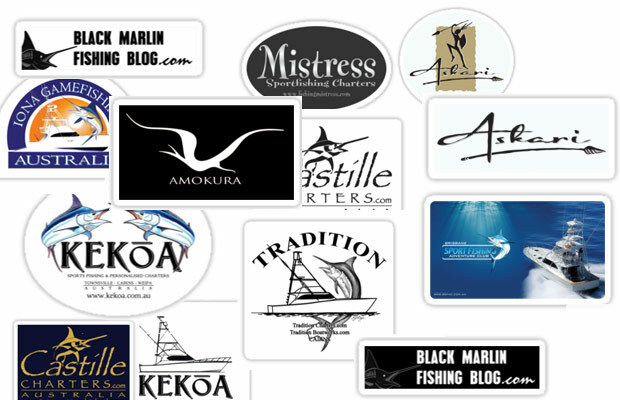 Boat Stickers – enough to fill your bucket! Ideal for smooth flat surfaces like laptops, windows, buckets etc. 50% discounts on all orders of any 6+, that’s almost crazy talk! Order as few as one, or as many as a hundred! If you don’t see your favourite boat in the store, send me an email. Want your own photo on your phone? Kelly can do custom designs using your own images. Contact for more details! 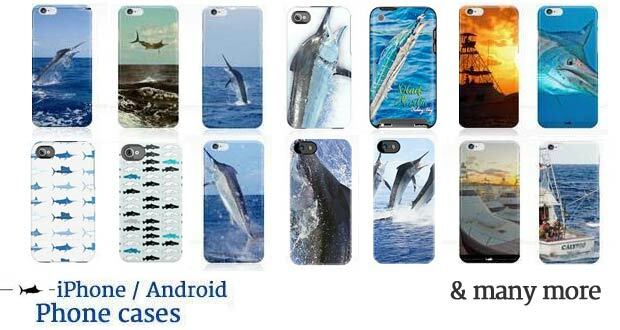 The only way to improve your phone or device is to put a marlin on it! Top secret printing process called TATT™, which embeds the design into the case—so no fading or peeling, ever. Many of the above prints and more are also available as iPhone Wallet cases (open book style with a band closure). Check them out here!